The soaring peaks of Canada's soul-stirring Rockies take centre stage on this epic alpine adventure that begins in Vancouver, one of the world's most livable cities. Spend the day discovering the city's scenic surrounds, then join your Travel Director and fellow travel companions for a Welcome Reception this evening. 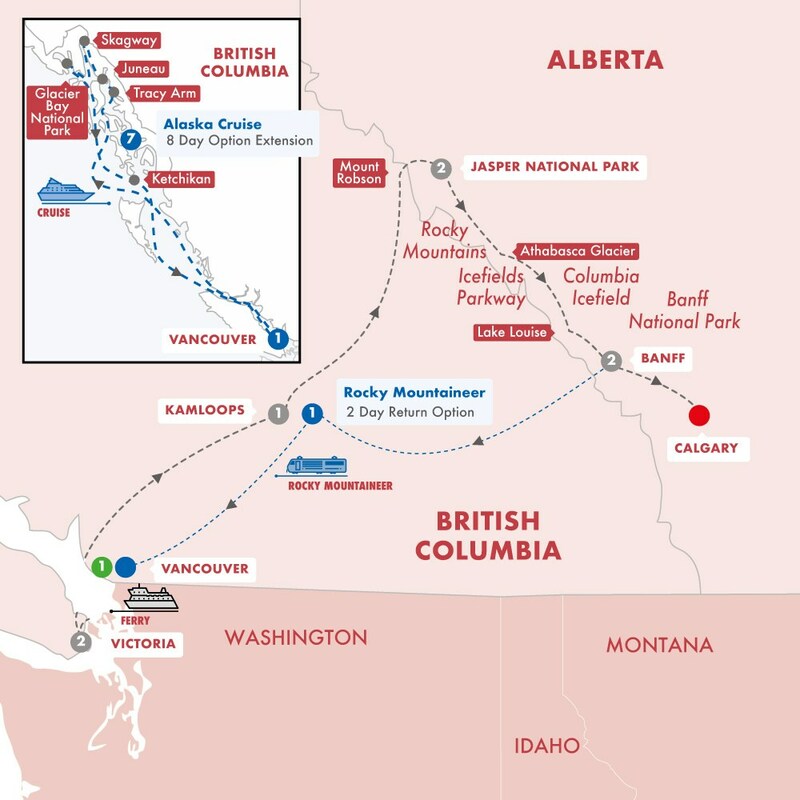 A sensational two day journey on-board the Rocky Mountaineer with a night in Kamloops. Your train journey through Canada's stunning Rocky Mountains begins as you head west to Vancouver. Continue your journey by rail through British Colombia to Vancouver. Upon arrival into Vancouver, your included transfer will take you to the Vancouver Airport or the Pinnacle Hotel Harbourfront.